Honda X Blade scores well in the design and performance department. 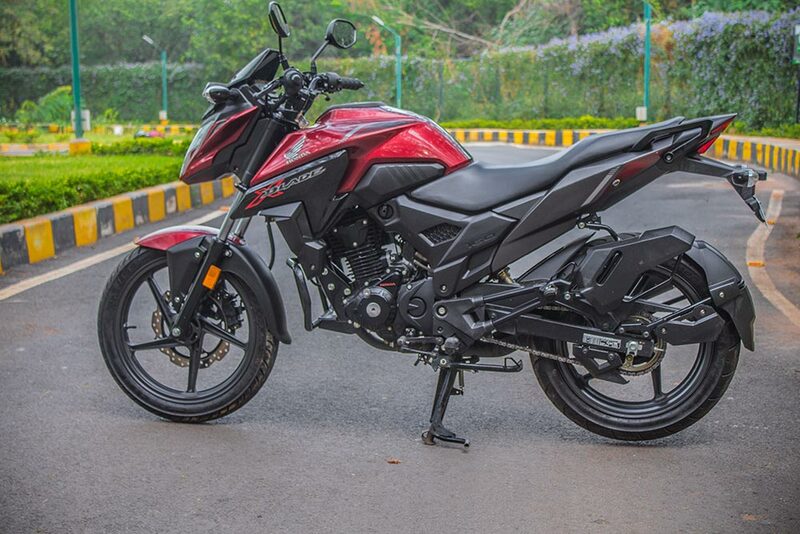 X-Blade looks very much sleek and thinner - you can say it is more Fittest than any other 160cc motorcycles in the market. Honda 2 Wheelers, India’s 2nd largest Two wheeler manufacturer has 3 motorcycles in the 160cc motorcycle category – Unicorn, Hornet and the new X-Blade. Honda has now widened the premium motorcycle options to its customers. 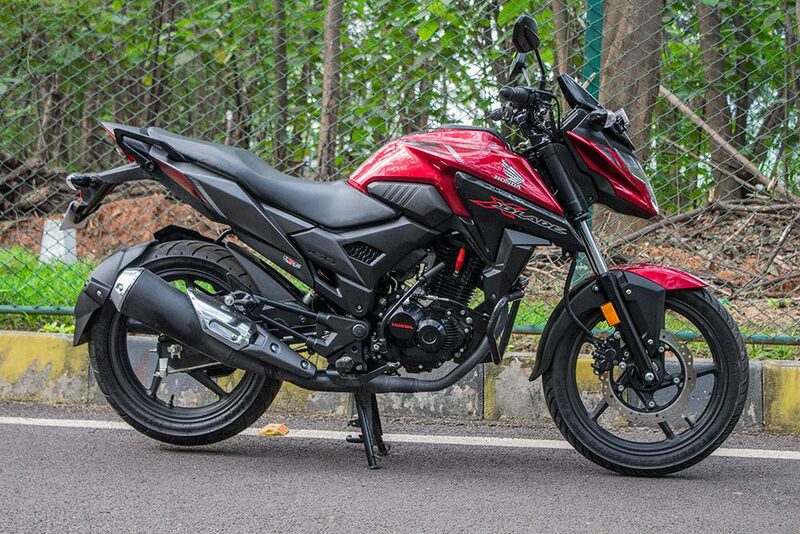 Price wise, Honda X-Blade is placed in between CB Unicorn 160 and CB Hornet 160R. X-Blade motorcycle was first launched in India during the Delhi Auto Expo 2018 along with Honda Activa 5G. 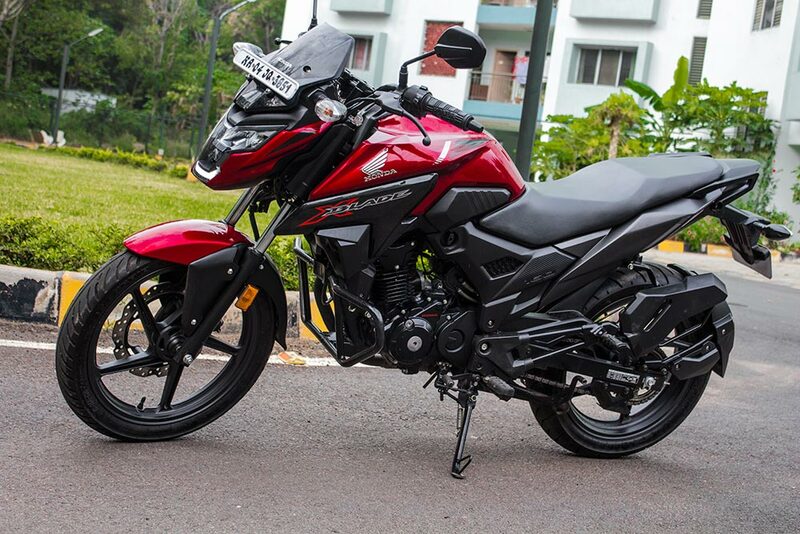 Thanks to Honda 2 Wheelers Corporate team who arranged the new X-Blade motorcycle for us to review. What follows below is the detailed review of Honda X-Blade motorcycle. Dhruvdesh Honda, a Bengaluru based Honda dealership handed over the keys of the stunning looking X-Blade in Pearl Spartian Red color. 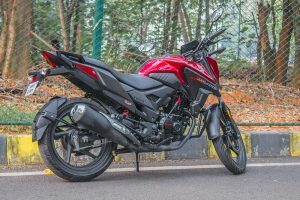 The X-Blade graphics on the bike were pretty appealing, we were able to clearly distinguish the overall design of the bike, it didn’t resemble the Unicorn 160 or CB Hornet 160R (Check Hornet Review). 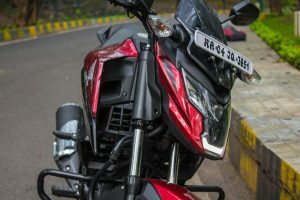 We bet you will clearly notice the protruded nose of X-Blade headlamp in the front – It very much looks like the face of “Iron Man” our review crew concluded. 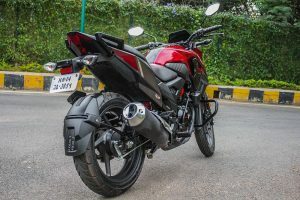 Unlike the Hornet, this motorcycle looks very much sleek and thinner – you can say it is more Fittest than any other 160cc motorcycles in the market. 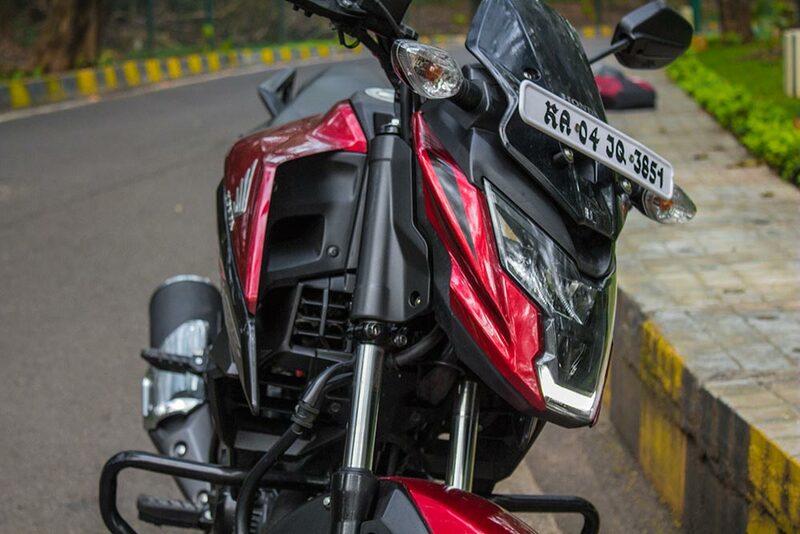 As said in the above section, the X-Blade’s protruded nose/Iron man face steals the show – credit should go to the design team for carving out a shape that is distinct and it is so much new from regular looking motorcycle. 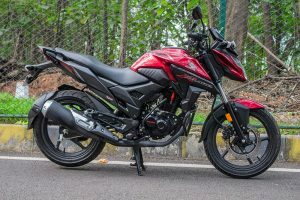 The combination of Red and Black is used in a very great proportion – no part of the motorcycle looks overdone – it looks very consistent enhancing the on-road presence. 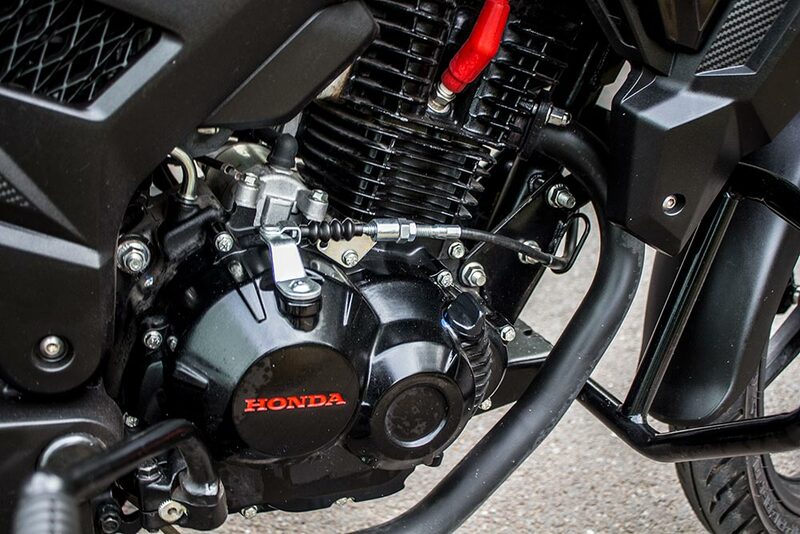 Honda calls describes its fuel tank as “aggressive sculpted” design – well it’s of course true. Every motorcycle has a design character, be it TVS Apache RTR 160, Yamaha FZ, Bajaj Pulsar or big Royal Enfield motorcycle – people often connect with the way it looks for them when they make a purchasing decision. X-Blade is for someone who loves riding a Honda in a brighter and modern skin. Headlamps are LED powered that shines through the darkened streets, while all other features and components remains the same like Hornet, it gets a parking indicator switch and a rear Mudguard at the back. 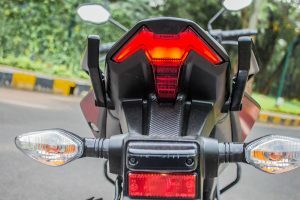 The addition of rear Mudguard is a good thing, as Honda has tried to address the issue faced in Unicorn – (Sprinkling of mud on pillion rider when driven through wet and rainy roads). 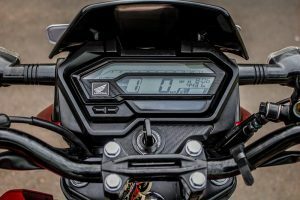 Talking about the front dashboard or instrument cluster – it is fully digital and greets you “SEE YOU” whenever you turn off the motorcycle. The display looks pretty engaging and modern for a current day rider. 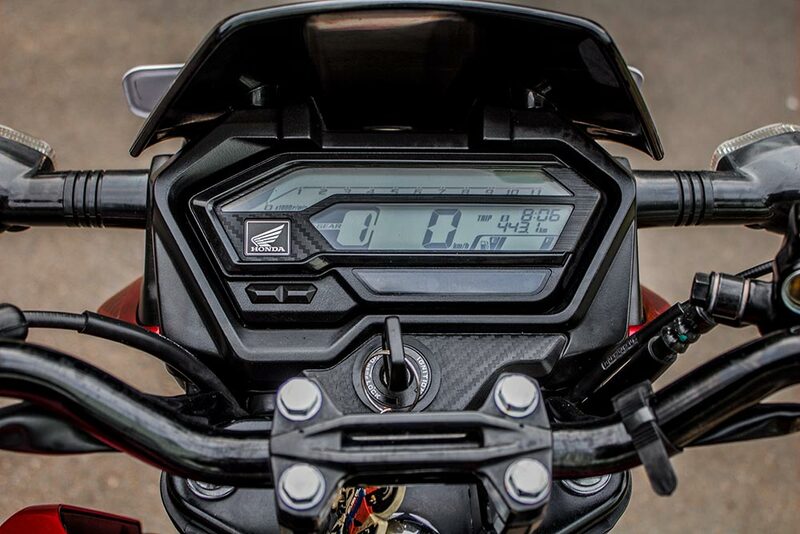 The Gear position indicator and Service-due indicator has been included (The feature which TVS Apache RTR 160 had 10 years ago!). 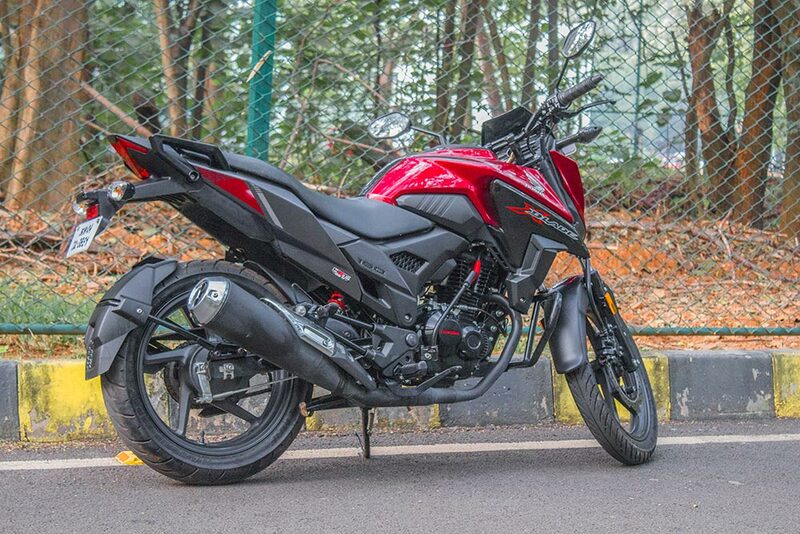 The all new Honda X-Blade is powered by BS4 compliant, 162.71cc air-cooled, 4-stroke, SI engine. 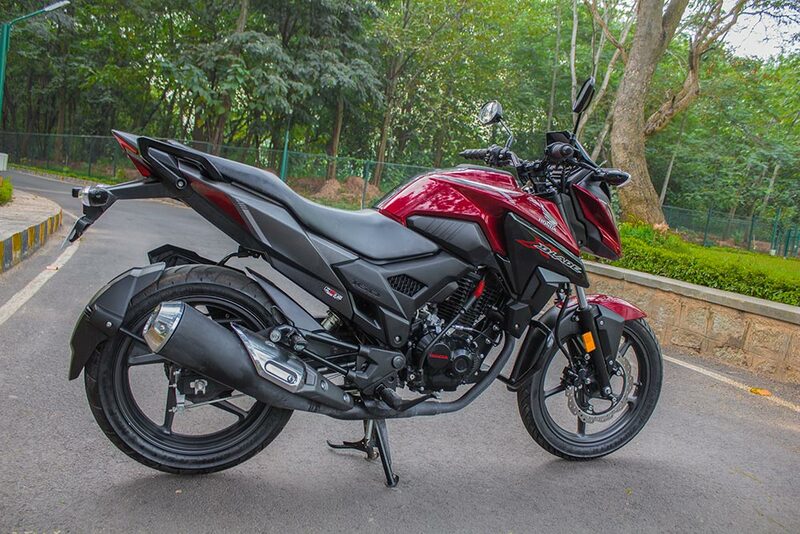 The engine is capable to churnout maximum power of 13.93 bhp and can deliver a peak torque of 13.9Nm. The motorcycle is equipped with both Self/Kick-start. The kill-switch is missing in this bike, it could have been quite easier for rider to turn off the engine in traffic if it was there. 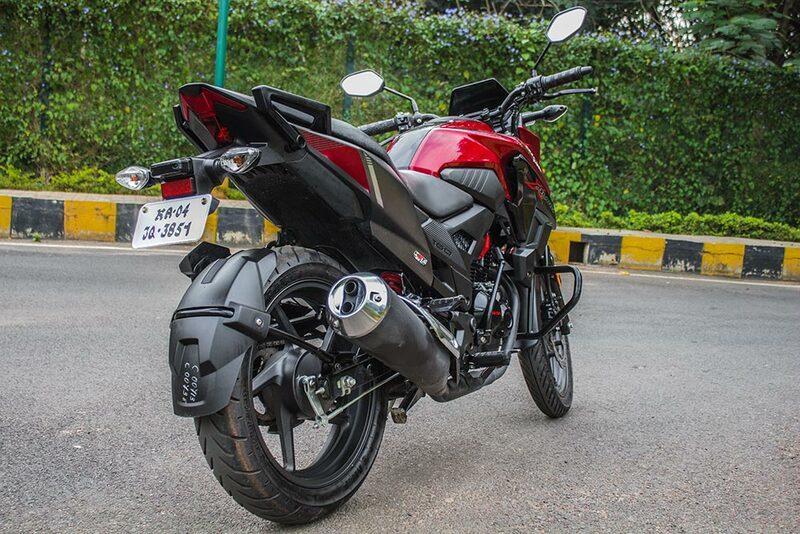 The Fuel-tank capacity of Honda X-Blade motorcycle is 12 litres and the motorcycle weighs 140 Kgs (Kerb weight). X-Blade measures 2013mm in length, 786mm in width, 1115mm in height and has got a wheelbase of 1347mm. The ground clearance is good with a height of 160mm sparing the motorcycle floor to hot any large hump. We mostly tested this bike in a typical urban conditions and were happy with the mileage which it returned. The indicators on fuel regulator switch was hard to figure out which is “ON” and which is “RESERVE” initially – as the icons were not readable. We bow down to the team/person who builds this wonderful precision perfect engines. Right from the start and till the end of your trip, you can feel the utterly butterly smoothness and refinement in the engine. 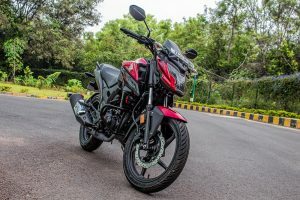 If you are a regular motorcycle rider you should probably be able to connect with me. While we didn’t test the motorcycle for top-speed we did notice the motorcycle had a good capability to reach a speed of 100Kmph very easily. The Handling and Maneuverability was great with single rider as well as the pillion rider at the back. 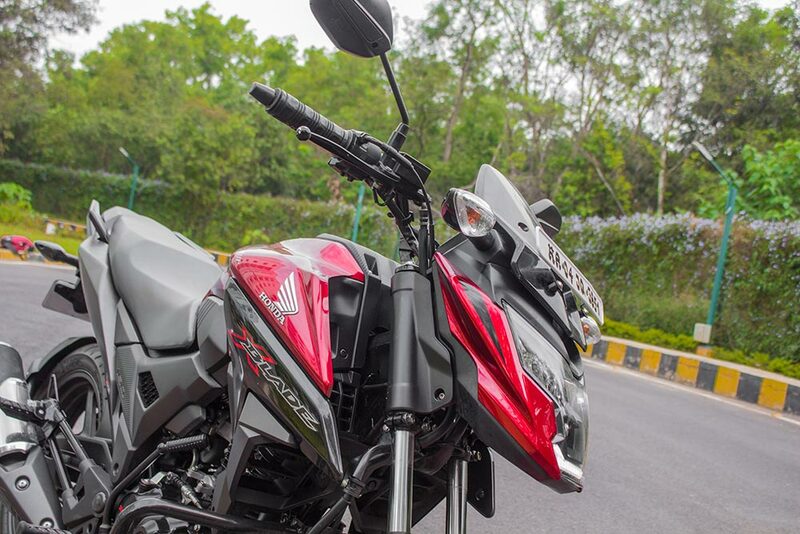 The Honda X-Blade gets Telescopic suspension in the front and monoshock rear shock absorber at the rear. Having driven my old Unicorn 150, I can clearly say these days the suspension system has improved a lot – the motorcycle absorbed all bumpy effects which passing through rough terrains and on humps. 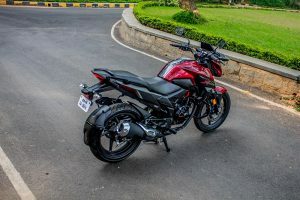 The Pillion riding was comfortable – the person at the back didn’t face any issue in seating themselves holding the “Groovy Grab Rail” – The seat is longer, accommodating a fat person at the back is not a problem even with a backpack bag. The braking was responsive, it would have been great if Honda included the ABS(Anti-lock Braking System) for further safety (soon this is going to be a rule starting April 2019). 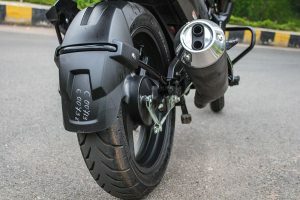 The motorcycle gets Disc brake in the front and drum brakes at the rear. Check out All Honda X-Blade Colors with Photos. 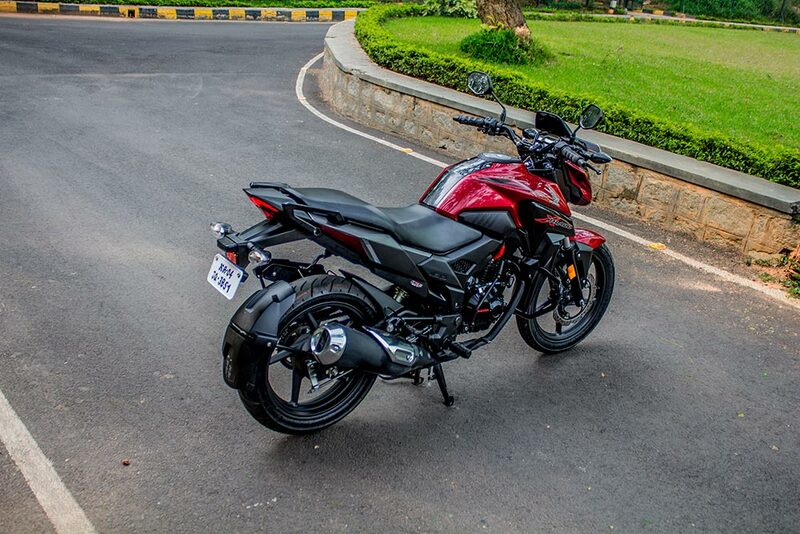 The Honda X-Blade is available in one single Standard variant which is priced at Rs 81,887 ( Ex-showroom Bangalore). After adding the local road tax (11,137) and Five year insurance premium (8553), the total on-road price ticks at Rs 1,02,934 in Bangalore. 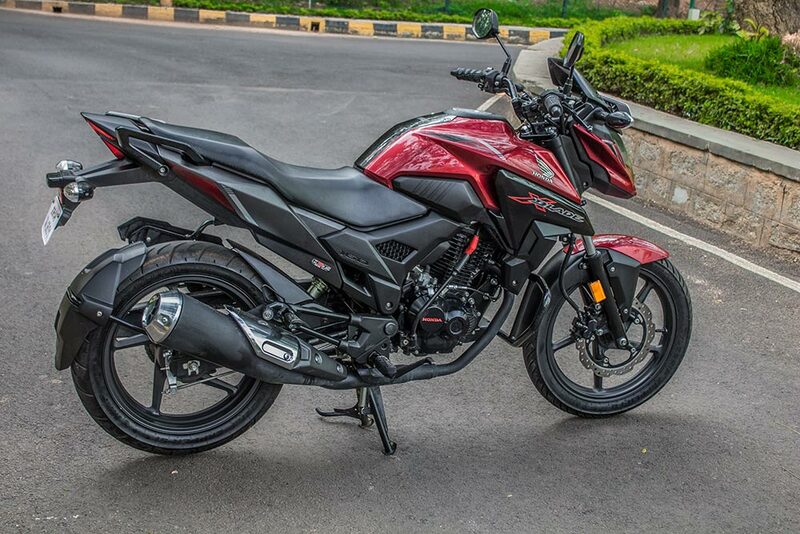 Well, it is a great choice to make if you are a Honda lover and wants to have a bike with appealing design. You will definitely love the design, performance part and the fact that it is priced below Honda Hornet can make you really want to own this motorcycle. The color options available are great in the market and we wished it came with the ABS safety feature as option ( For those who liked X-Blade design and wants to have ABS).